Rhubarb is finally in season! I absolutely love it. It’s tart and sweet at the same time, which is my favorite. There are so many things you can do with it as well. This week I thought it would be nice to make some mini cakes to bring into the office for my friends. This recipe was very easy to make, and super delicious. I made a little extra rhubarb topping so I could pour it over the cakes before serving. Overall a successful cake party at work. Happy summer! Pre-heat oven to 350 degrees. 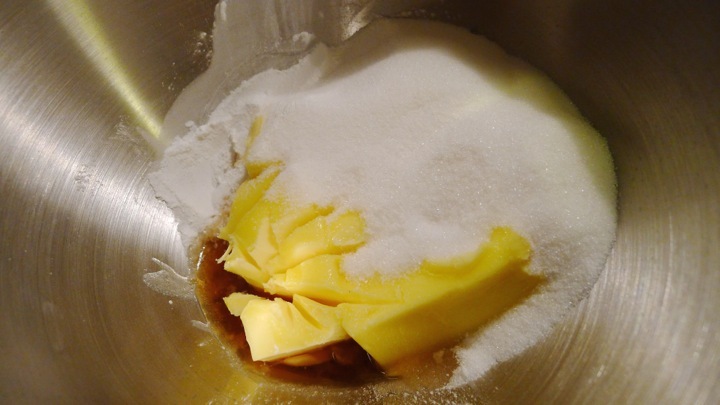 Start by beating the butter, vanilla, and sugar until light and fluffy. Next add the eggs one at a time, making sure to full incorporate each. Sift the flour and baking powder into the mix, followed by the lemon zest, folding it all in evenly. To make the topping, melt the butter in a pan followed by the mint and brown sugar. Add the rhubarb and cook for about 6-8 minutes until soft. Make sure not to overcook or it will break down too much! Divide the mixture between the 12 muffin cups- using about one heaping tablespoon worth for each. Next, pour the batter over the rhubarb, filling the cups about 3/4 full. Bake for 25 minutes or until golden brown and cooked through. Allow to cool in the pan. Once cooled, use a knife to loosen the sides of the cakes, then place a baking sheet over top of the muffin tins, and flip it over onto a flat surface. I ended up slicing a sliver of the bottoms off so that they would sit flat on the plate. 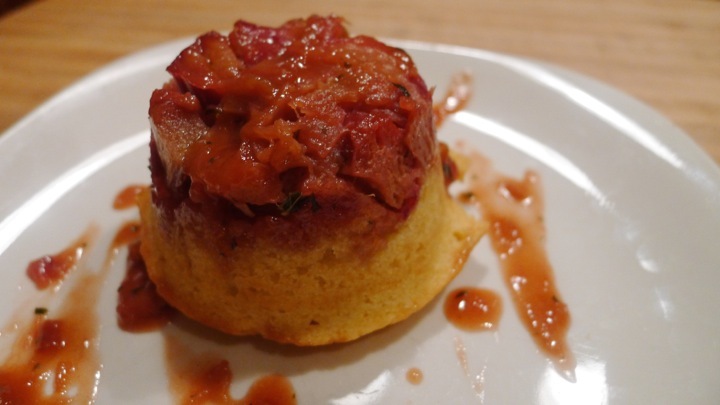 Serve with a little extra rhubarb sauce. Enjoy!